Within seconds he was gone and I swear my heart skipped a beat. As he exited the plane I was left with a picture his face – drained of colour and smiling nervously. 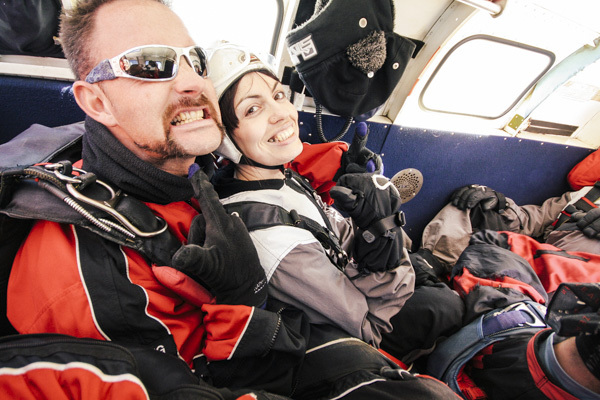 I remained calm, but all I could think was that my husband had just jumped out of a plane. Being the drama queen that I am, a flash of fear washed over me as I realised that might be the last time I would ever see him. Before I had time to lose myself any further, I realised I was being shuffled forwards towards the edge of the plane and out into the wild blue yonder. 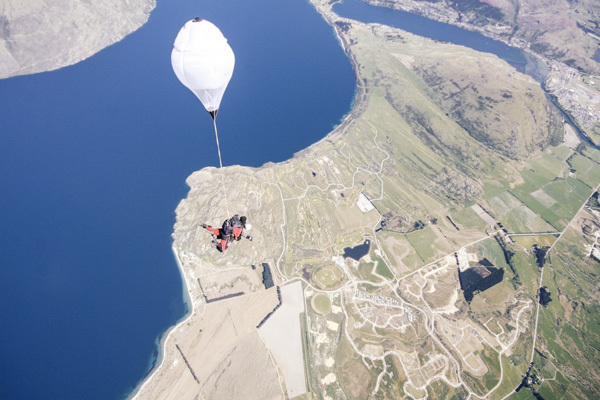 My legs were weightless swaying in the cold breeze and 12,000ft above Queenstown I hung there trying to comprehend what was about to happen. Greg started counting to three, and with each count I felt him rock back and forth – like he was powering up a rocking horse. 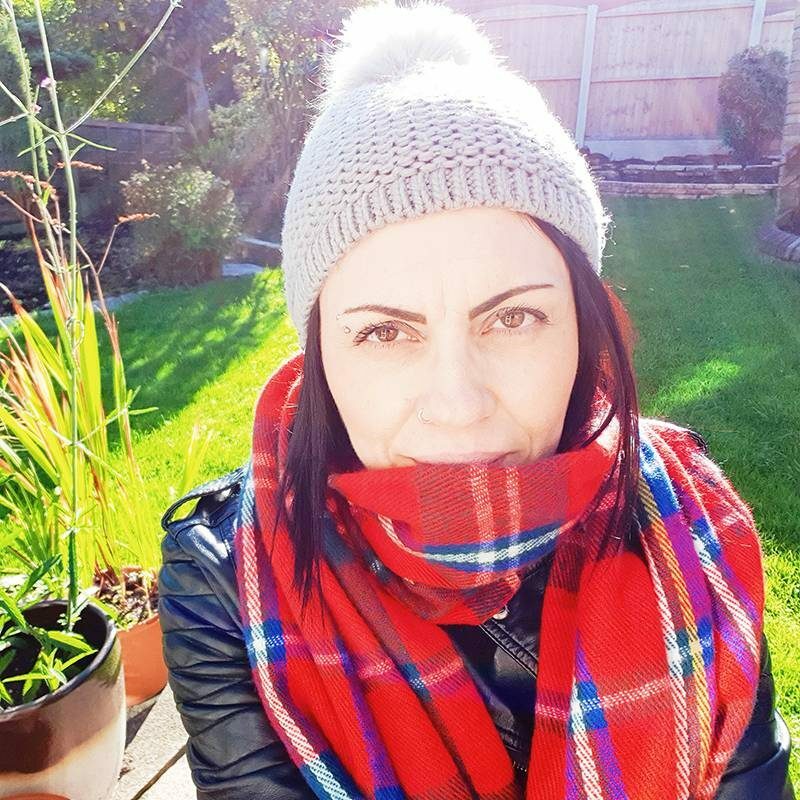 Within seconds a cushion of air hit me, and instead of feeling the stomach turning somersaults that occur on a rollercoaster, I felt like I was floating: buoyant and calm. Feeling a tap on my head, I looked up to see the photographer hovering in front of me gesturing. Thumbs in the air, I grinned as best I could while the force of the wind pressed against my face. There was a quick jolt as Greg released the parachute and then everything slowed down. I looked around in awe gazing down at the snow-capped mountains, and rivers that had been quickly scribbled into the landscape. Gently descending towards the canvas of blues and greens the silence was interrupted as Greg informed me he did this eight times a day. 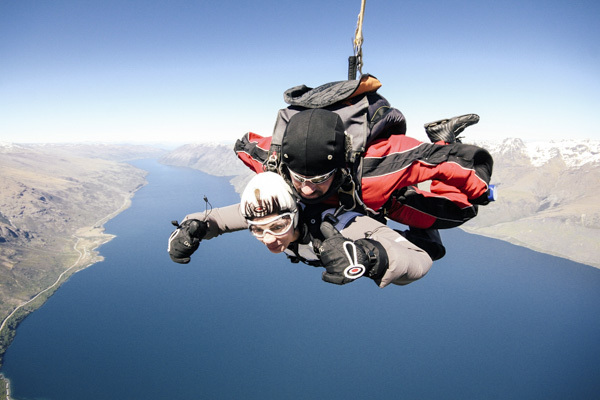 Eight times a day he jumped out of a plane and felt this rush of adrenaline, and at that moment, I couldn’t help but feel a little envious. As we drifted down through Greg’s office I felt a kind of exhilaration and freedom I’d never experienced before, and I felt cleansed as the refreshing air washed over me. Looking down at the vivid landscape I could definitely see what attracted nearly 2 million visitors each year and gave the town its nickname: Queenstown – adrenaline capital of the world.